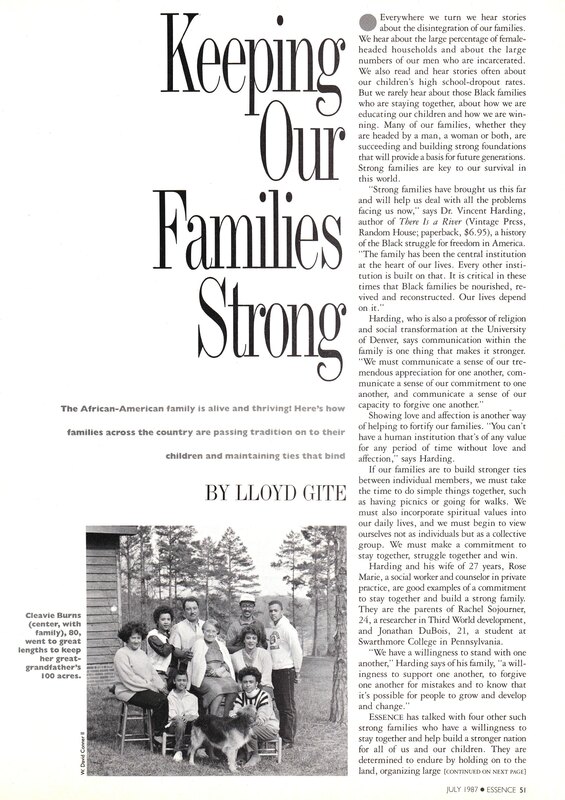 Keeping Our Families Strong by Lloyd Gite appeared in the July 1987 edition of Essence Magazine in which the STEVENSON Family was profiled along with 4 other families. 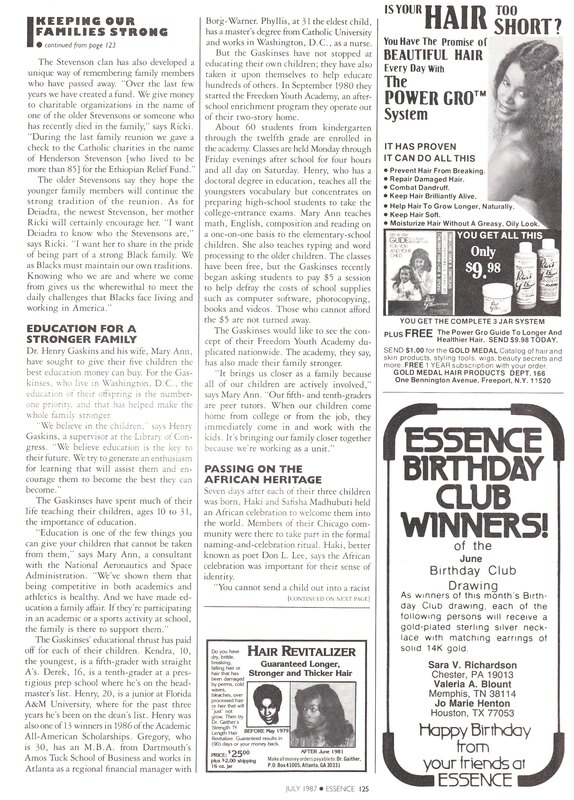 Below is an excerpt from that article that highlights the Stevenson Family. 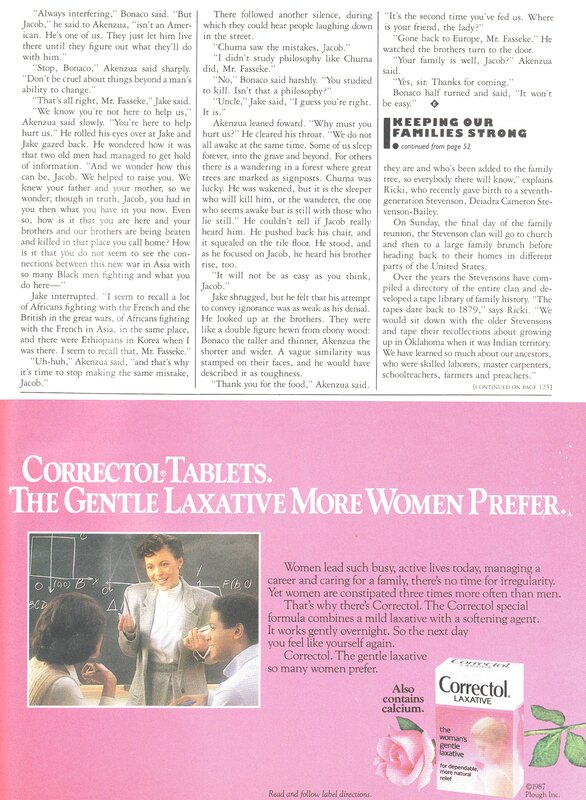 The entire article including the magazine cover is after the excerpt. When the STEVENSON clan, some 200 strong, gets together in August in Los Angeles for their family reunion, the stories of their early days in Wild Horse, Oklahoma, in the 1800's will be told once again. Stories of how a Choctaw Indian named Naho married an African Slave woman, Mary STEVENSON, and took her master's last name, and stories of how the two left plantation life behind and had 15 children. The STEVENSONs, who have gathered every two years since 1961, will also share stories of how Native American and African-American together practically ran Oklahoma until it became a state in 1907. "Some of the STEVENSONs remained in Oklahoma, but many of us moved to Arizona and northern and southern California," says 84-year-old Adam STEVENSON of Phoenix, one of the relatives who helped organize the first family reunion. "We started the reunions so we could just see one another and recount stories of the old times. The family reunions keep us closer and make us stronger." Sylvester STEVENSON, 62 years old, calls himself "one of the younger STEVENSONs" because his grandfather lived to be 112 years old. He has been working on the upcoming reunion for almost a year and always looks forward to seeing his relatives. 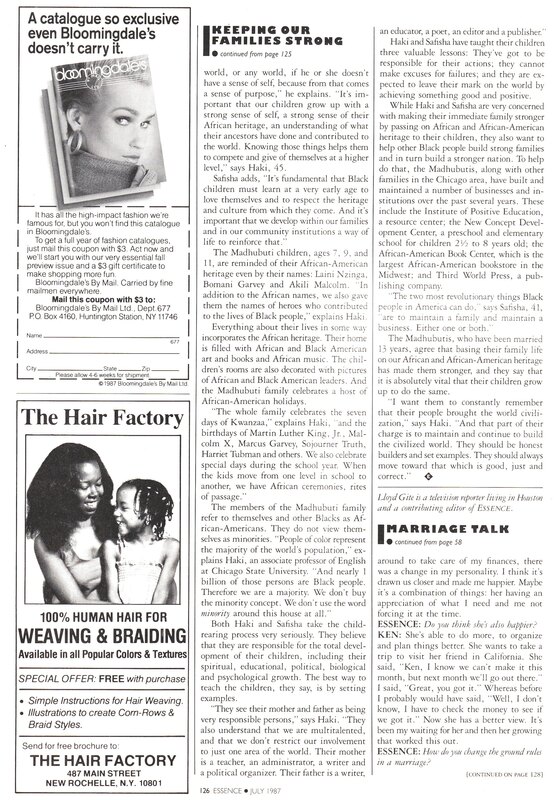 "Over the years it has looked as if most Black families have somehow lost their roots," says Sylvester, who lives in Los Angeles. "They don't seem to know where they come from and what happened to them. We want to make sure that doesn't happen to the STEVENSONs." 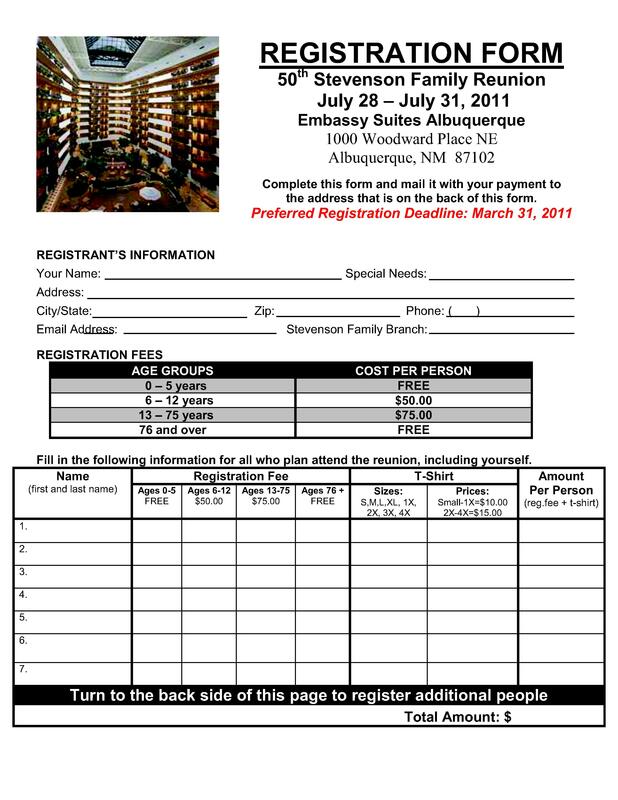 The three-day STEVENSON family reunion is full of activities designed to keep the whole clan busy. "We always have a Friday night meet-and-greet party where everybody wears name tags because there are so many of us," says Ricki STEVENSON-Bailey, one of the STEVENSONs of the baby-boom generation. "We catch up on who's had babies, where people have moved, who's changed jobs and what accomplishments have been made." On Saturday, day two of the reunion, the STEVENSONs will have an all-day picnic complete with a program and even a talent show. "During the program each family group goes up and tells where they are and who's been added to the family tree, so everybody there will know," explains Ricki, who recently gave birth to a seventh-generation STEVENSON, Deiadra Cameron STEVENSON-Bailey. On Sunday, the final day of the family reunion, the STEVENSON clan will go to church and then to a large family brunch before heading back to their homes in different parts of the United States. Over the years the STEVENSONs have compiled a directory of the entire clan and developed a tape library of family history. "The tapes date back to 1979," says Ricki. "We would sit down with the older STEVENSONs and tape their recollections about growing up in Oklahoma when it was Indian territory. We have learned so much about our ancestors, who were skilled laborers, master carpenters, school teachers, farmers and preachers." The STEVENSON clan has also developed a unique way of remembering family members who have passed away. "Over the last few years we have created a fund. We give money to charitable organizations in the name of one of the older STEVENSONs or someone who has recently died in the family." says Ricki. 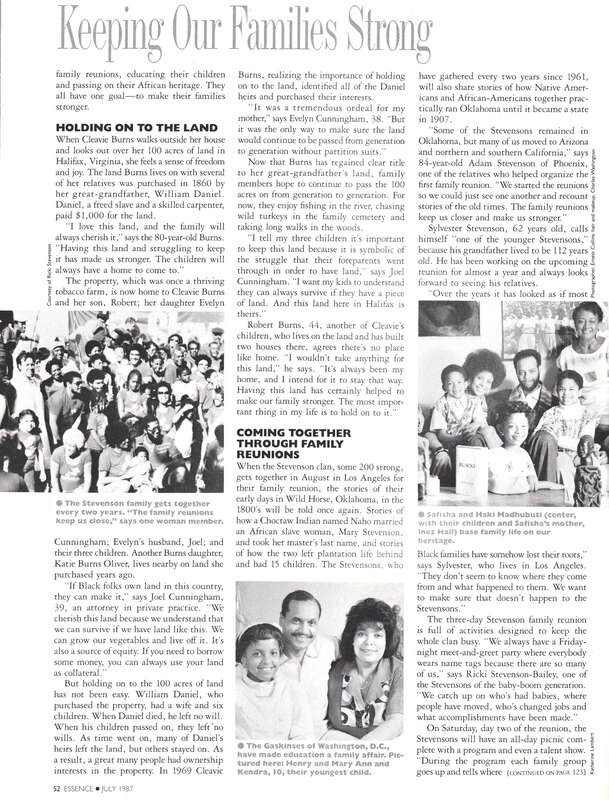 "During the last family reunion we gave a check to the Catholic charities in the name of Henderson STEVENSON (who lived to be more than 85) for the Ethiopian Relief Fund." The older STEVENSONs say they hope the younger family members will continue the strong tradition of the reunion. As for Deiadra, the newest STEVENSON, her mother Ricki will certainly encourage her. "I want Deiadra to know who the STEVENSONs are," says Ricki. "I want her to share in the pride of being part of a strong Black family. We, as Blacks, must maintain our own traditions. Knowing who we are and where we come from gives us the wherewithal to meet the daily challenges that Blacks face living and working in America. The reunion was held at the Embassy Suites Hotel, 1815 S. Meridian, Oklahoma City, OK 73108. You may book your reservations by calling (405) 682-6000 or by fax at (405) 682-0252. The Hotel Trolley will provide transportaiton from the Will Rogers Airport to the hotel at no charge. Also, hotel parking is free. The suites are priced at $119.00 per night, up to 4 people per suite. Please log on to Embassy Suites Hotel Oklahoma City Airport for a detailed list of accommodations and amenities. 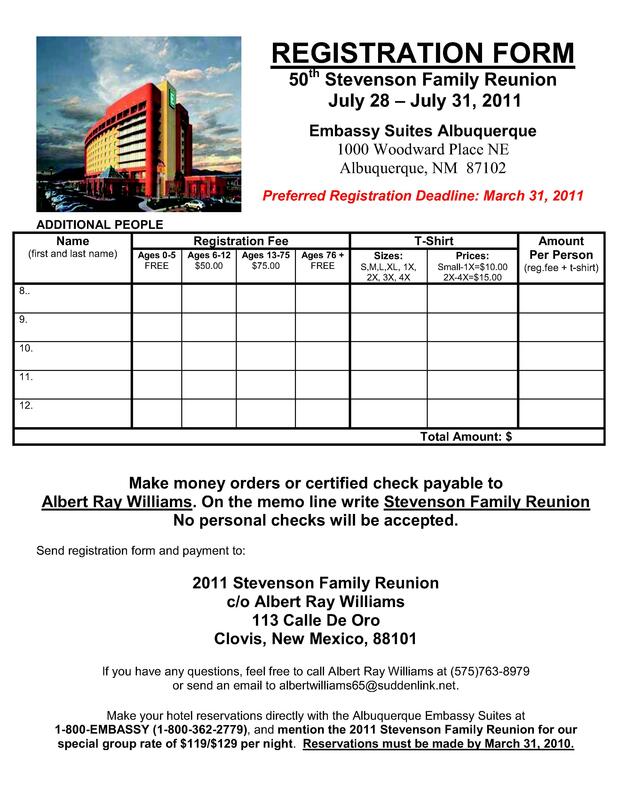 The 2006 STEVENSON Family Reunion was held on August 11-14, 2006 in Baja, California. We sailed aboard the Royal Caribbean Cruise - Monarch of the Sea. It is the prayers of the Northern California STEVENSON Family Reunion Committee, that this letter finds everyoneof you in good health, and feeling truly blessed. Our Committee has been very busy making plans for our next family reunion. Our reunion is scheduled for Thursday, August 10 throught Sunday August 13, 2000, (a.k.a. Y2K). As host state we have chosen to celebrate our reunion in the beauthiful city of Oakland, Califronia, at the newly renovated Marriot Hotel and Convention Center. We will be right in downtown Oakland, which will put us in the heart of the Bay Area. San Francisco, Napa, Berkely and Oakland attractions are all easily accessible from the Marriott Hotel. Ideal airport access (SFO-22 miles/Oakland-8 miles). Freeway access blocks from the hotel. Twelve (12) minutes to San Francisco via the Bay Area Rapid Transit (B. A. R. T.). It's easy to use, and the station is right across the street from the hotel. There are many restaurants, shop, and neighborhoods - Old Oakland, City Center, Preservation Park, Chinatown, and Jack London Square Waterfront District. Most within walking distance. We have been fund rasing and meeting every month. Therefore, in order to make the appropriate accomodations for our reunion and finalize our plans, it is important that we confirm the number of family members who will be able to attend. Our reunion week will begin on Thursday, August 10, 2000, with registration and our Meet and Greet/Informational gathering. It will begin at 6:00 P. M. until 11:00 P. M., at the Calvin Simmons Ball Room on the second floor of the Convention Center. Relaz and get comfortable. Horsd'oeuvres and beverages will be available. Day two Friday, August 11, 2000, we have a "Down Home" Family Barbecue with all of the fixings, scheduled at Dan Foley Park, in Vallejo, California. We have chartered a bus to pick us up from the hotel at 9:00 A. M., Friday morning and return at approzimately 7:00 P. M. As an additonal treat for those young and those young at heart, we have make arrangements to shuttle you across the way to Six Flags Marine World. The cost will be $20 per person for those over the age of three. Friday night will be a free night to give you a chance to experience some of the night life in the city. You can check-out local entertainment which is in walking distance or a short ride away. We will have recommendations available, for those interested. Day three, Saturday, August 12, 2000, you'll be free to spend the day on your own, but the evening is reserved for an unforgettable Banquet and Talent Showcase. It will be held in the Emmet Jewel Ballroom on the first floor of the Convention Center at 6:00 P. M. until 12:00 A. M. This night will be filled with family history, memories and laughter. We would like to uncover some of the hidden talents and encourage some of the evolving talents, that so many of our family members possess. The Talent Showcase is open to family members of all ages. You can choose to sing, dance, read a poem, or perhaps a family skit, be as creative or as funny as you want. The choice is yours. You will have a mazimum of ten (10) minutes. Register your talent early. We will leave enough time for dancing and more socializing. 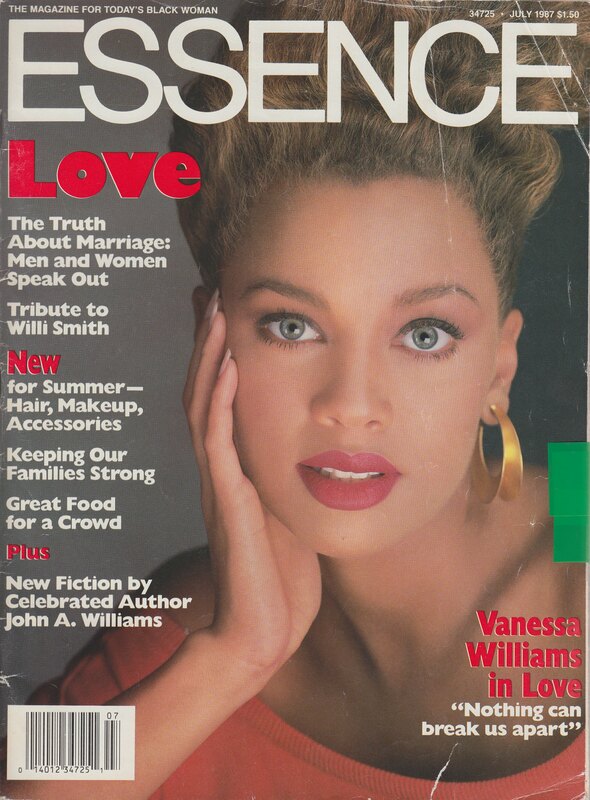 Sunday, August 13, 2000, is reserved for worship service and brunch. We will worship as a family in the Calvin Simmons Ballroom on the second floor of the Convention Center. Service will begin promptly from 9:30 A. M. to 11:30 A. M. As the old saying goes, :all good things must come to an end:, therefore, we have scheduled our Brunch & Farewll from 12:30 P. M. to 3:30 P. M. When this time comes, we pray that you all will have enjoyed your stay, met new family members and enjoyed the reunion as a whole. We want you to go back and share the memories with those family members who were not able to attend. For those of you who will be able to travel here, to attend this Y2K STEVENSON Family Reunion, we pray that you will have a safe trip, and we look forward to seeing you soon. For those of you who will be unable to attend, we will keep you in our prayers. Just remember that most of our family members are just a phone call away. Keep in touch with your family! Strong family ties have delivered us to where we are todya, don't sever them. If we could have just one head of each family call just one other family member, that he/she has not talked to in a while we could really make the connection and tie up perhaps a few losse ends. This is also away to encourage one another to attend this monumental family reunion. Since no one is promised tomorrow, nor a new year, let's see how many calls we can make beofre the 1999 year ends. Brighten someone's day, and just say Hello!